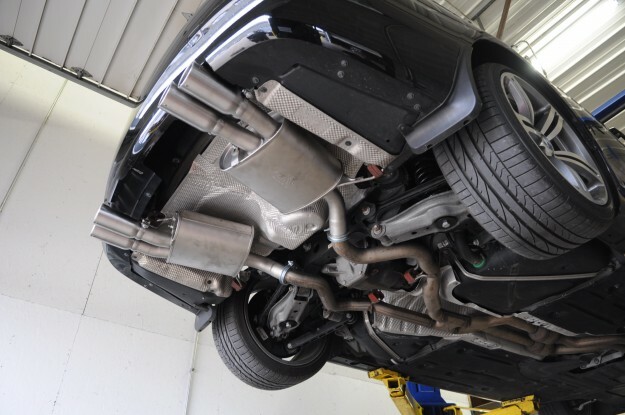 Recently, we installed a Remus exhaust on a BMW E92 335xi. 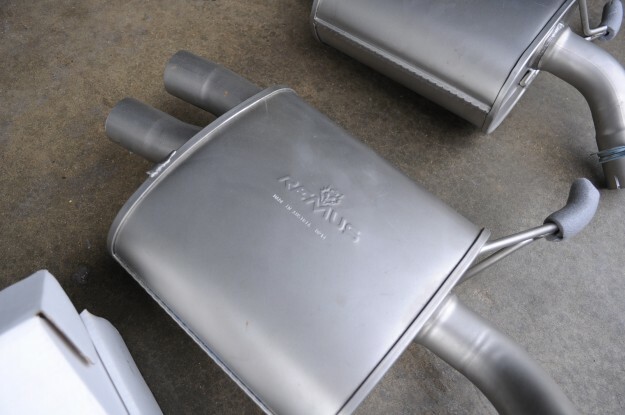 When it comes to modifying the exhaust setup on your vehicle you have a number of brands to choose from. There is usually a sacrifice in quality if you’re looking for a bargain and as you’ve probably heard at some point in your life, you have to pay to play when it comes to quality. This normally applies in the automotive world but once in a while, you can find an alright balance somewhere in the middle. We’ll usually recommend a product based on value, not what’s cheapest. Sometimes we’ll come across a product that achieves what our client is looking for and happens to be the best-priced product available but this scenario is rare. 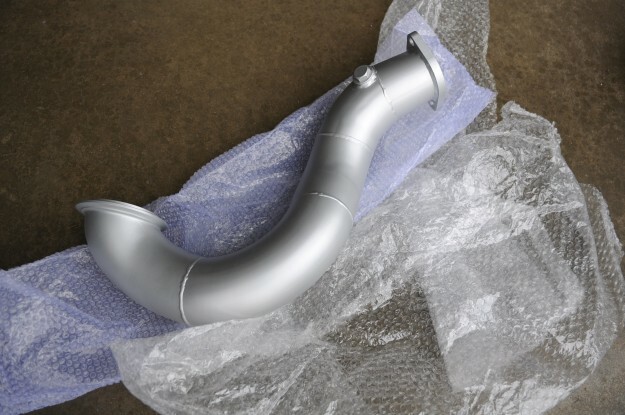 When recommending a product we try extremely hard to control customer expectation and that’s why we recommend purchasing directly through our shop. We hate nothing more than installing a customer supplied product and having problems with the install. When this happens the customer is responsible for any additional labor incurred or can potentially be left unsatisfied; not good for anyone. 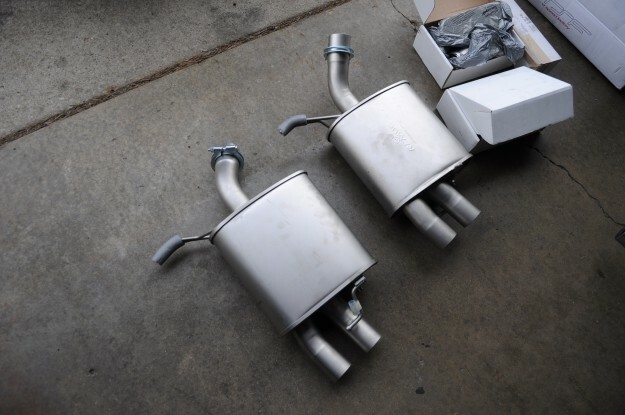 This brings me to the Remus exhaust that we installed on this BMW 335xi. 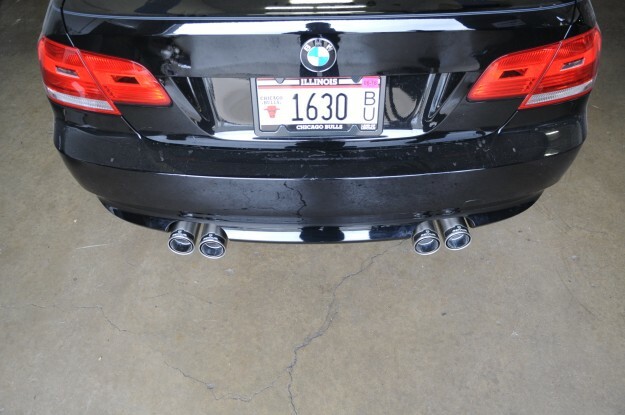 While this system fits the car, it required some bumper modification in order to fit the quad tips. 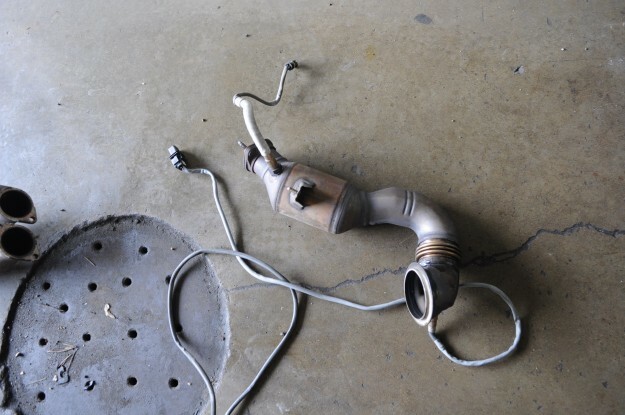 Even after completing the modification, the exhaust system sat extremely low and didn’t quite meet our standards. 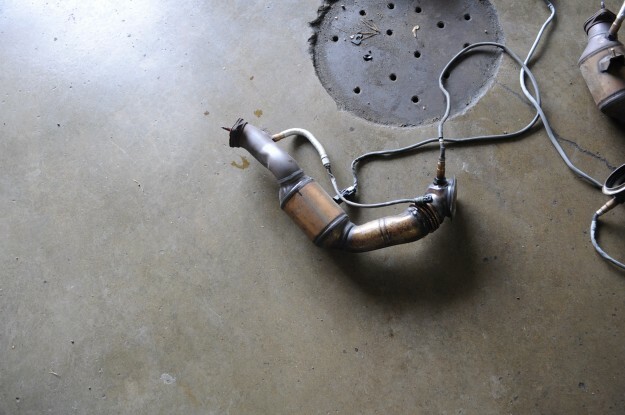 You can see below in the pictures the process it was to get it installed. 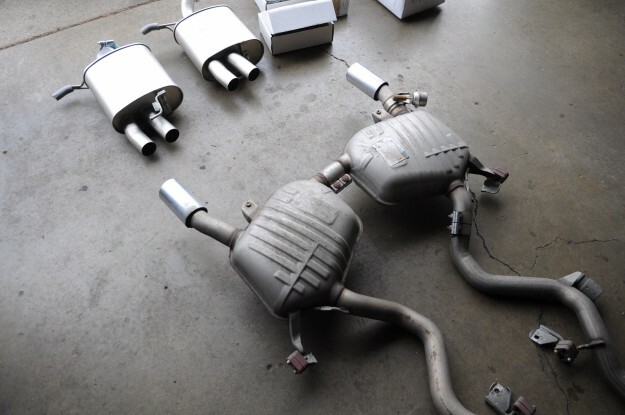 If you are looking to pull some more sound out of your BMW, or any other car for that matter, please don’t hesitate to contact us. 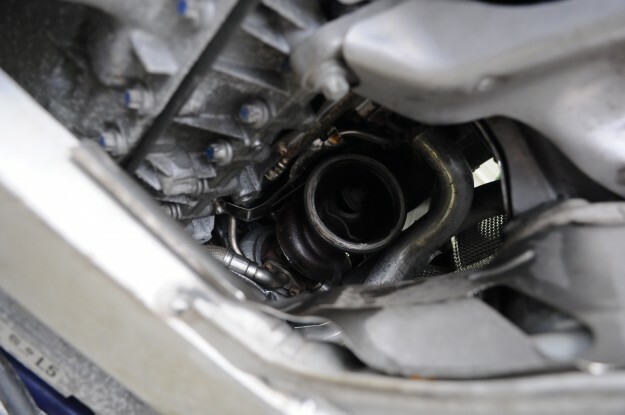 Feel free to give us a call at 815-230-2900 or e-mail info@fluidmotorunion.com and we will be more than willing to answer any questions you may have.